It started with the Jake chair. The old-school cafeteria design has a steel tube frame that can be powder-coated in a range of colours for a playful look. Given its popularity, we decided to add more pieces to the family. Available as a single, two or three seater the Jacob sofa has the same colourful steel tube frame but the design is purposefully minimal. The result is a sophisticated piece with a fun pop of detail. The seat and back cushions are a soft yet supportive mix of feather-down and foam. Upholstery features a thick piping detail that adds to the overall plushness of the piece. 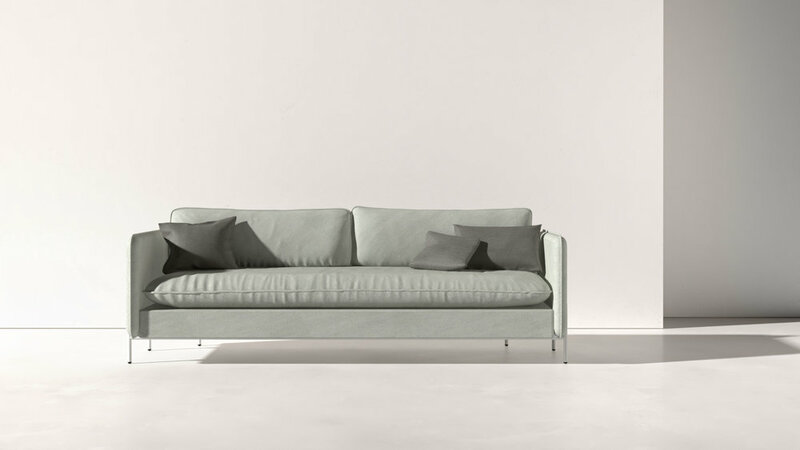 The Jacob sofa is also available in a Highback version with a back and sides that are 1500mm high. As well as offering visual and acoustic separation, this has a cocooning effect, which is ideal for seclusion in busy collaborative workplaces. The two and three seater sofa is one large seat cushion with two back cushions.